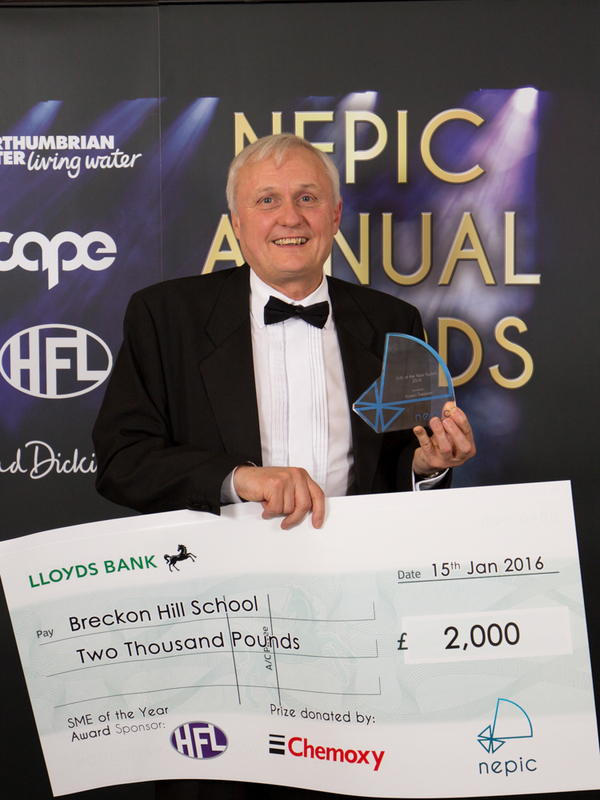 Chemoxy was the winner of the SME Company of the Year Award at the NEPIC awards event attended by over 400 chemical industry delegates on the 15th January 2016. Chemoxy will donate the £2000 prize money, from sponsors HFL Ltd, to Breckon Hill Primary School for Science related projects. Chemoxy has been a proud supporter of Breckon Hill School for many years. 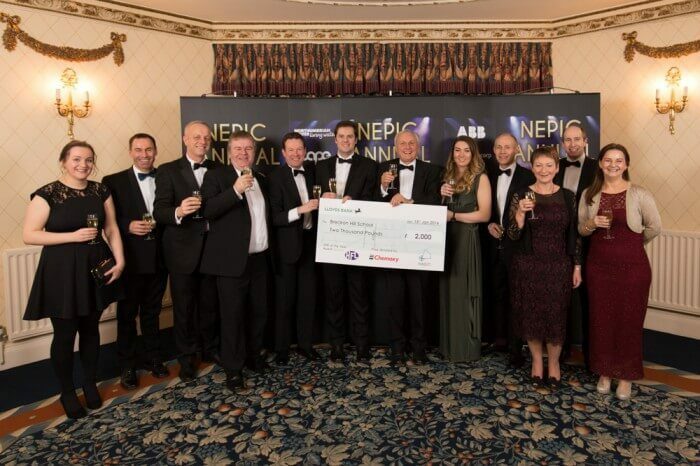 Our thanks also go to NEPIC, HFL Ltd and most importantly to the whole of the Chemoxy team for making our Company a worthy winner of this Company of the Year Award. Extracts of our winning formula are outlined below. Chemoxy is an SME that punches above its weight in advanced manufacturing in the North-East. The company, which has plants in Middlesbrough and Billingham, provides contract manufacturing services to global blue-chip companies and manufactures a range of low toxicity eco-friendly products which are sold world-wide. Created more than 50 new jobs and grown our workforce from 78 to 141 of highly skilled men and women. Grown export sales of its flagship low toxicity and low VOC solvents to the paint industry, including the development of significant sales in China. Over 60% of Chemoxy’s revenue is from overseas sales. In 2015 we won a prestigious supplier champion award from a global fuel company. Increased production of renewable chemicals based on bio-derived raw materials and has made its first patent application in this field. The company has a continuous improvement culture and has achieved significant energy efficiency improvements and had reduced gas consumption by 15% at its Middlesbrough site. Waste has been significantly reduced and the company is actively engaged in recycling of solvents which has significant environmental benefits and reduces carbon emissions. Chemoxy has embraced apprenticeships and become a beacon in Teesside for the development of apprentices Chemoxy has engaged in numerous collaborative projects with UK and overseas universities and bio-catalysts providers to develop eco-friendly products or production routes for new generation chemicals. The company is working with the University of Northumbria to develop enzymic pathways to new solvents. Chemoxy also works with the KTN, Innovate UK, Manchester University, Aston University, University College, London, Imperial College and the Universities of Bangor and Aberystwyth in Wales, and with CPI. Around 20% of Chemoxy staff began as apprentices and right now we have 10 current apprentices – we were the first company to employ an apprentice from SSI after its liquidation. We were short listed at the CIA awards for our training programme for apprentices. Chemoxy continues to support Children Challenging Industry with school and teacher visits to the site. Lab demonstrations, talks on careers in the Chemical Industry and the importance of chemicals in our society are debated with the school children. In 2015 our team gave demonstrations to school children at holiday clubs in our local community. Chemoxy supports the local community and schools, holding regular Community Liaison meetings discussing environmental improvements and providing financial and volunteer help to our neighbours in North Ormsbey- e.g. by donating all-weather coats to local schools for under privileged children and sponsoring Christmas parties for elderly residents. In 2015 Chemoxy employees raised over £30,000 for charitable causes on Teesside including Teesside Hospice and providing holidays for deprived children via the ‘real Boro Fans Charity’. In 2015 Chemoxy won the ‘Love to Ride Challenge’ in the North East – over 100 of our employees took to their bikes. Chemoxy supports UK trade missions and attended Chemspec and Agrochemical missions to the USA . The company is an active participant in NEPIC’s BASME project and has provided support to other SME’s in the region. Chemoxy believes that the North East is a great place to do business and looks forward to continuing to grow its business on Teesside.